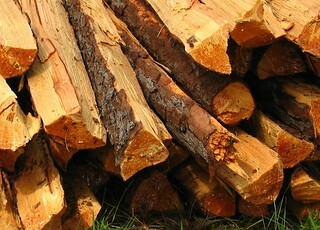 Now that it’s spring, chances are you’re not using your fireplace as much, so it’s time to move the wood pile. To prevent wood-boring pests such as termites from invading your home and nearby structures, you’ll want to move the woodpile at least two feet from any structures and 18 inches off the ground. You can use concrete blocks, bricks or a firewood grate to keep firewood off the ground to encourage air flow and prevent moisture, which attracts insects. Don’t store firewood near trees, either, as insects such as bark beetles can move from the woodpile to invade your trees and cause severe damage.